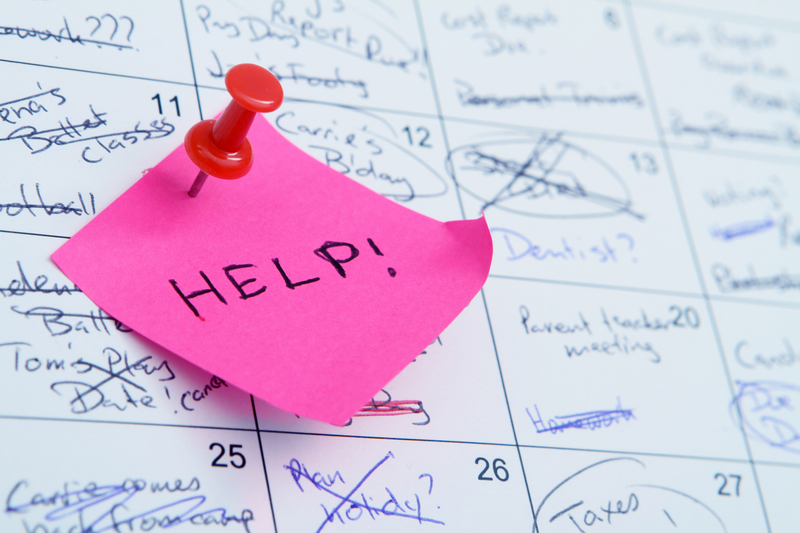 Whether your boss is an estate planning attorney, CPA, financial advisor or life insurance agent, chances are, he or she has an overwhelmingly busy calendar. From client meetings, phone calls, seminar presentations, conferences and CE programs to numerous projects to be completed, goals to be reached, and endless obligations to be met. How do you organize, prioritize and manage it all while getting everything scheduled and done? First, ask for assistance in prioritizing your tasks (and your boss’ tasks). Thankfully, most executives acknowledge that their assistants are juggling several tasks at one time and that the types of tasks and the level of priorities of those tasks are constantly changing. When priorities of tasks are constantly changing, it’s best for assistants to seek guidance on this directly from their boss to ensure that everyone is on the same page. Most assistants will find themselves in a bind when they thought one task was higher priority over another and it wasn’t and now the boss is upset because a much higher priority task was not completed on time. So, whenever you find yourself at odds about what to do first, second and third, take it up with the boss. Better yet, when you’re assigned a particular task, communicate with your boss at that time about what you’re working on and find out how time-sensitive or how important that task is. This way, there is no confusion. In order to do this, be sure to keep a running list of projects you are working on (or just hang on to your to-do lists) and use this in your meetings with your boss to determine the priority of unfinished tasks. It’s up to you to complete your tasks, but it’s up to your boss to help prioritize them. Second, create and follow a calendar template for your boss. Determine what items your boss needs on his or her calendar and create a template that makes sense of when things need to be done. For example, it might make sense to hold all staff meetings on one day at the beginning of the week versus the end of the week. Your boss might need time set aside each week for client meetings, another block of time set aside to do research and development, perhaps some time each day to return phone calls or correspondence. Whatever that template may look like for your particular boss and his or her particular needs, determine what that looks like and lay out the template on his or her calendar – – and make sure you and the boss FOLLOW IT! For example, my boss, Phil Kavesh, prefers to have a structured calendar template based on the things that need to get done each and every week. He holds staff meetings either on Mondays or Tuesdays, he holds seminars only on Tuesdays, Thursdays or some Saturdays, and he prefers to work on creative items (like marketing) only in the mornings. Phil likes Fridays to be “catch-up days”, where he can tie up any lose ends or to work on small items that he didn’t get to throughout the week with the flexibility to take that day off, if he feels the need to. He also likes the fourth week of each month to have no seminars. On the rare occasions that Phil has a client meeting, we have determined that these can only be scheduled on a day where he is already at the main office doing work and not at his satellite office doing research or creative work. With this calendar template, it is easy for us to gauge where to schedule different items, such as phone calls or projects that require consecutive days of work, plus it makes it difficult for Phil to interrupt his own schedule when he knows the game plan for each week. Last, but not least, maintain the fundamental rule: ALL scheduling must go through YOU! You are the gate-keeper to your boss’ calendar, so all appointments, phone calls, meetings or other calendared items must be scheduled by you, his or her assistant. The more people and hands with access to calendaring an executive, the more of a nightmare it can become. And yes, this even includes your boss! It’s very easy for an executive to not recall what was discussed at a previous meeting about other priorities and calendar items that need to be arranged and then, just as you are away from your desk or in the process of arranging an important meeting, BAM! Someone has scheduled something and created a mess out of what you were working on. As assistants to a busy executive, we are fairly lucky that we aren’t asked to handle too many personal calendar items, such as scheduling doctor appointments and things like that. However, Phil still consults me when he is scheduling these kinds of personal items because he respects us as the one in charge and overseeing how his calendar works with his other priorities. It’s a system that works well and works best when everyone is on board and respects the power of maintaining (or messing) with your boss’ calendar. Thank you this is an excellent read. But i have a question. What do you do when your boss’ phone is synced the computer for appts and she has all her appts physically in her hand daily but that system still does not work for her? What system would you recommend me using with her? HELP!! Thank you for your e-mail. If I understand your question correctly, it appears that you operate and manage your boss’ calendar on a computer system (which syncs to her phone), but that she utilizes a physical calendar that she has on her? If I understand this correctly, then the first step to really trying to make calendar coordination work for her is to sit down with her and discuss your current system. Our boss, attorney Philip Kavesh, prefers a physical (paper) calendar on him. What we do is manage his calendar using Google Calendar and every Friday, print out his weekly calendar for him for the next week. He then can make whatever notes and reminders he needs to on his calendar. His assistant checks in with him daily, so should something on his calendar change, she makes sure to notify him during those check-in meetings. The key is communication with the boss. If your boss is expecting you to help manage her calendar, then it’s important that you guys have a discussion about that system and figure out a system that works best for you. I hope that this helps and wish you the best of luck! Hi, I love all the articles here on best practices for Admin. Assistants. An older article on note taking has lost the links. Do you have the visual of the note taking example? 1. Do you have a preference of whose calendar an invite originates from when it is between an executive and their staff? 2. Do you schedule meetings to occur on say Week 2, Tuesdays? If so, what do you do when someone from the same group comes along and schedules meetings for every other week? Or 18th day of the Month? What do you do if they refuse to use the same schedule as everyone else (Week 1, Tuesday’s)? Hi Nancy! Thanks for your question. In regards to your first question, there is no preference, but if the Executive is managing his or her own calendar, that would ideally be against our general recommendation. The idea would be that the Executive has access to his or her calendar, but that a support staff member is the one managing it. That support staff member (or Executive Assistant) is the one that should be adding things to the Executive’s calendar and ideally sending or accepting calendar invites. As for your second question, I’m not quite sure that I understand your particular issue or situation. Typically, the calendar template is dictated by the owner (or Executive) so his or her decision about when those meetings will be determined are what we go by. Key support staff that report to the Executive don’t really have say-so in our particular model to “refuse” the same schedule. In a larger company, with more moving parts or multiple upper-level managers, it can certainly be challenging. The key is that all managers and executives need to be on board with the same goal and figure out how to make it work! I hope this helps! I need your response on this. Thank you for your question. Unfortunately, the best and (in my opinion) ONLY way to handle this is to speak to he Director and determine how to handle. Even more than that, it’s even more crucial that you determine how that conflict in schedule happened in the first place. I’ve noticed that a lot of people tend to throw out dates and times to people and can potentially throw out the same dates and times and then when people come back to confirm what works for them, it’s now no longer available. This can be avoided by tentatively holding dates for certain people until you hear back from them and then not passing along those dates and times to others until you’ve confirmed with the other parties. For this particular situation, I would speak with your boss and see if they would be open to any kind of business coaching to help you guys learn how to work together and communicate more effectively. He or she may not be open to doing that and you won’t have a whole lot of power for change there. You have to keep in mind what’s within your control and what’s not. If you always approach the situation in a way of 1) trying to be able to perform your duties and your job to the best of your ability and 2) trying to provide the best support to your boss that he or she needs to be more efficient and organized, you can’t really go wrong. And again, if he or she will not budge, there’s very little you can do.